Both my dog and cat enjoy looking out the window and watching the creatures outside. While my dog, Shiner, can go outside and chase all the birds and rabbits, Callie is an indoor cat and isn't allowed free roam of the outdoors. 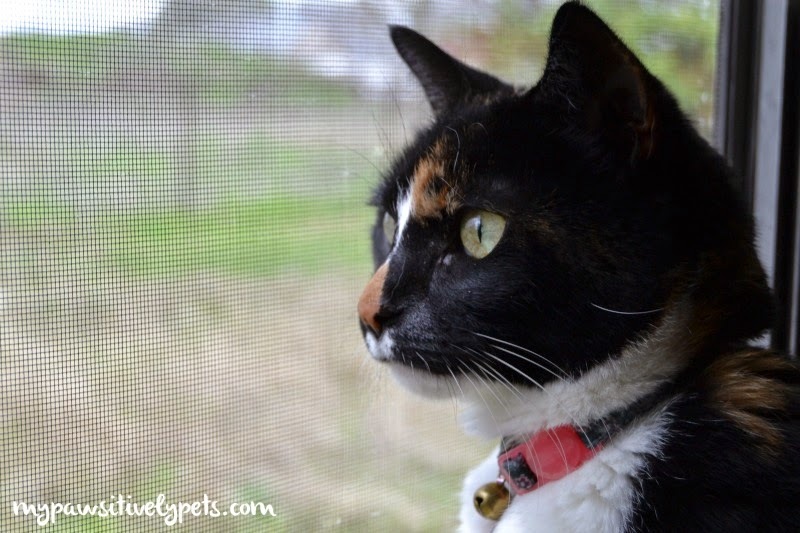 So, Callie must watch the birds and other critters from the safety of her home. We have a lot of critters around my home - rabbits, lizards, birds, possums, snakes, frogs... there are actually some others that show up every now and then that I could list too. My favorite creature to watch are the birds, however. Mostly, we enjoy watching Mockingbirds, Chickadees, Grackles, Doves, and Cardinals. I especially love the Cardinals. 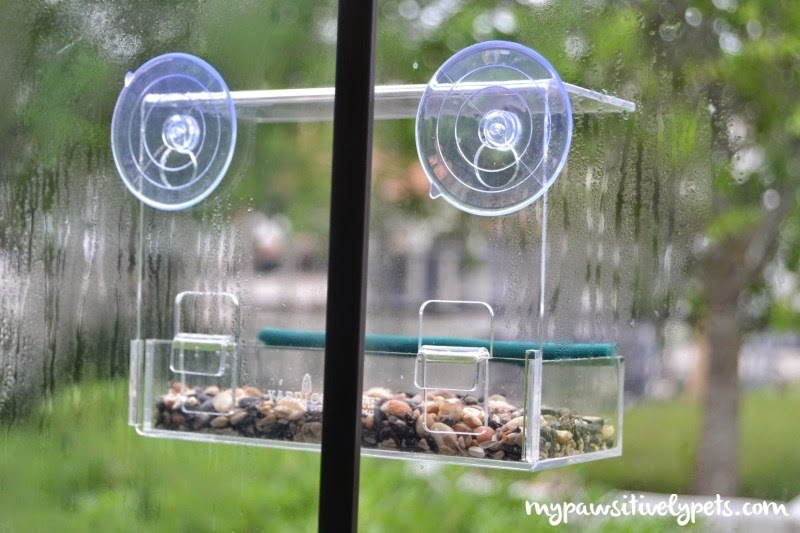 I was recently invited to try out a cool product - a Yardiculture Window Bird Feeder. 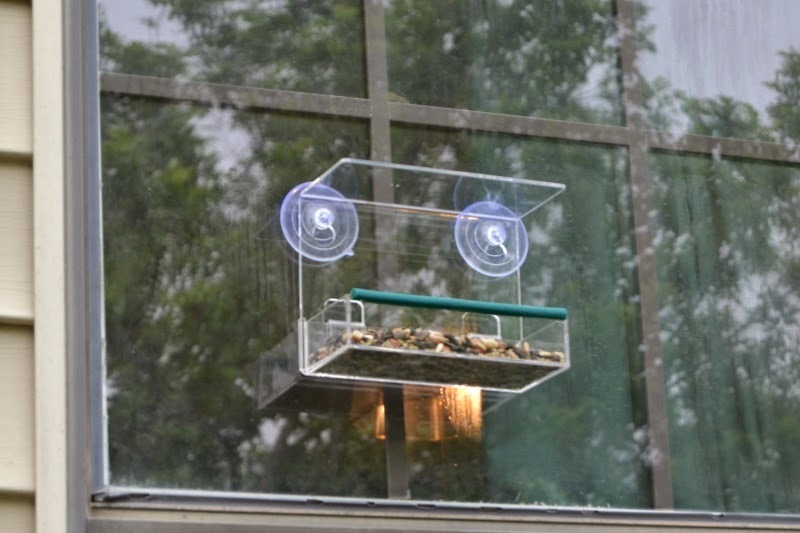 The bird feeder is made of clear acrylic and sticks to your window with suction cups. If you place the bird feeder in a quiet room with the lights dimmed, you can watch birds come to the bird feeder. This allows for a closer-than-usual bird watching experience. I thought that Shiner and Callie might enjoy some good bird TV. Yardiculture Window Bird Feeder from the outside. The Yardiculture Window Bird Feeder was easy to assemble and I've had no problems with it falling off the window. The suction cups are sturdy. The tray that you put the bird seed in is removable, making it easier to refill. After the first 2 days of the bird feeder being up, I began to worry that the birds would never come. I decided to move the feeder to another window where I see more birds flying around. I waited a few more days and tried sprinkling some of the seeds on the ground in front of the feeder. After about 4-5 days of waiting, the birds came and enjoyed some lunch! I've also learned that I should use a different type of seed to attract the birds. Next time, I'll purchase Safflower seeds rather than a seed mixture. The only birds I've seen come to my Yardiculture Window Bird Feeder so far are Cardinals. Both a male and female cardinal, which I was able to capture on camera with my spy camera. You can watch them enjoying the bird feeder in the video below. Now, I see the Cardinals enjoying a meal every day. You'll notice that female Cardinals are not red, but brown with red crests and beaks. Still gorgeous in my opinion and I think I like their appearance more than the males a little bit! My kids get excited when we see a bird coming to feed at the bird feeder. I'm trying to teach my youngest that she has to be quiet and move slowly when one shows up. It's a work in progress, but she enjoys seeing them. If you enjoy watching birds or want to get something different and entertaining for your cat or dog, check out the Yardiculture Window Bird Feeder. They are available for purchase on Amazon HERE. Do you enjoy bird watching? 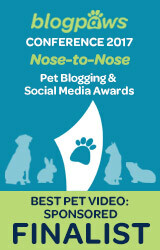 How about your pets - what do they think of Bird TV? UPDATE: This post was supposed to be sponsored by Yardiculture through Tomoson.com. Pawsitively Pets was supposed to be compensated to share our review of the Yardiculture Window Bird Feeder, but we only share information we feel is relevant to our readers. All opinions expressed here are our own. Yardiculture is not responsible for the content of this article. Because product reviews take time and effort to complete, I charge a fee for my work. This does not affect my views on the products I review. Rather than deleting my hard work because the parties I worked for did not pay me for my time, I am adding this disclaimer so that others may be aware. it's a great idea to have such abird feeder... I would love it so much to watch the birds... I had one as a kid and I even wrote the names of the birds in a book and tried to draw them (not good but funny). Aw I think it's cute! How awesome! I love watching birds and that is great that you can bring them right to your window. Right now we just have a hummingbird feeder. 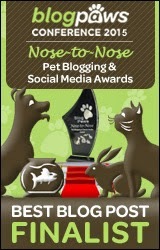 I will have to check this out to bring more birds to us! Leo loves watching the birds out the window. Fortunately there is plenty for them to eat in all of the trees in our yard because bird feeders in the city sadly become squirrel and rat feeders. I wonder what Leo thinks about the other birds? I love bird watching, and cardinals are also one of my favorites (I love the females too). We have a large bush right outside our kitchen window and Sam can sometimes sit there and watch them. Great job with the video....I couldn't even manage to get still pictures of our cardinals! Unfortunately we have bears in the summer, so can't have bird feeders out because they'll break them to get the seed. But I might like to try something like this next winter. Oh I think I would go nuts with one of those, how cool! That is a nifty idea for a birdfeeder! I would love to watch some live bird tv too! What fun. We have a feeder hanging on a shepherds hood outside our front window. It gets birds for the cats, squirrels and wabbits for us dogs. Mom isn't into birds, so it is just for us pets and we really enjoy it. What a great idea. I need one! OMG I SO LOVE THIS!!!!! I think I have to get it! I am wondering about squirrels but they can't climb windows, right? This video is just fabulous! LOVED seeing you on video. I think this would be great for my patio door. Hey Caren, we don't really have squirrels at my house, but they are slowly making their way to these parts now I think. I see them on a rare occasion. I am pretty sure that a squirrel couldn't climb up the side of my house to the bird feeder, but i guess it just depends on the type of material your apartment is made of and how your windows are positioned. My house has a plastic like siding that I would imagine would be to slippery for a squirrel to hold on to. callie...we knead ta talk....itz bout ...BURDZ......!!! Callie looks so gorgeous!! I like chasing the birds, so mum hasn't put a feeder outside!! 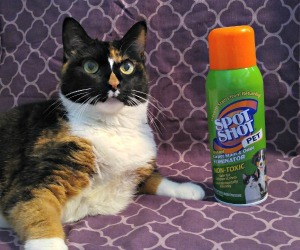 I need to get this for Sookie and the cats!